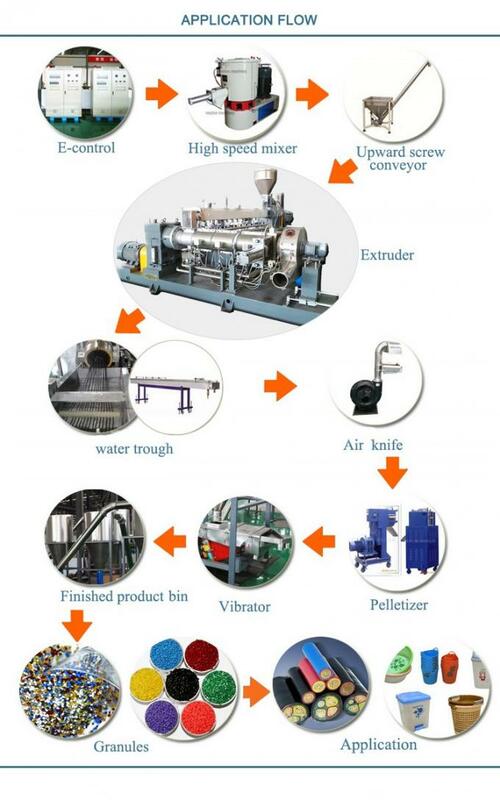 The production line consists of one single forced feeding extruder, one single screw extruder, vacuum air venting device, fast net changing device and granule cutting device. The feeding part of the extruder is enlarged. The compressor has large volume compression ratio. The vacuum suction device at the connection parts can effectively exhaust the volatizing air in the material. The waste materials can be extruded directly. 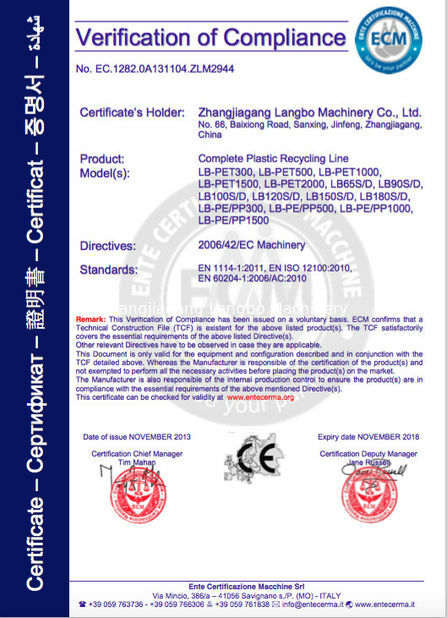 This line is not only able to recycle the common plastics, but also can recycle the foamed PS, PE, EVA, etc. 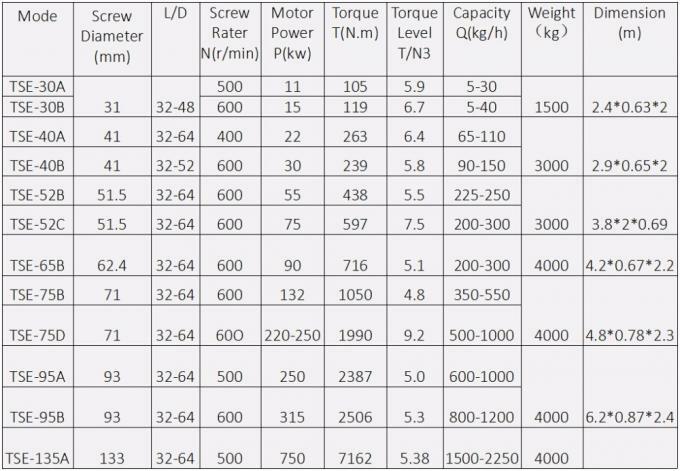 Different screws are available to the different material, output. 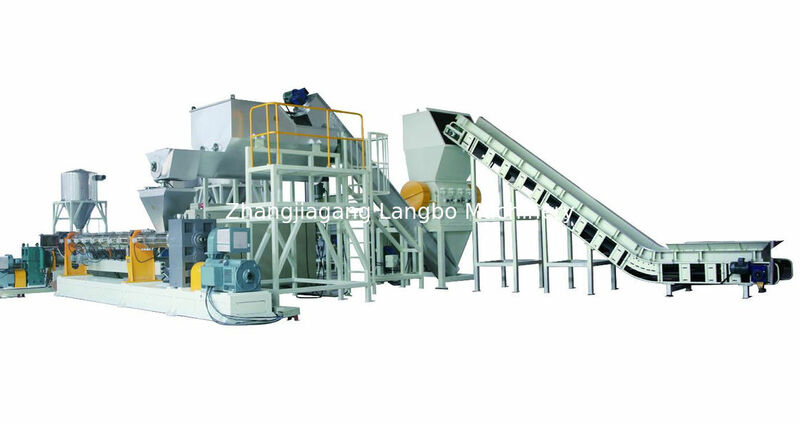 recycle plastic granules making machine is advanced designed and manufactured with the latest processing machines and the most skillful workers. The smart automatic controling system ensures the best mixing and granulating performance during the plastic recycling granulating process. The granulator machine is also designed with different auxiliary systems, which enables its multi-usage. 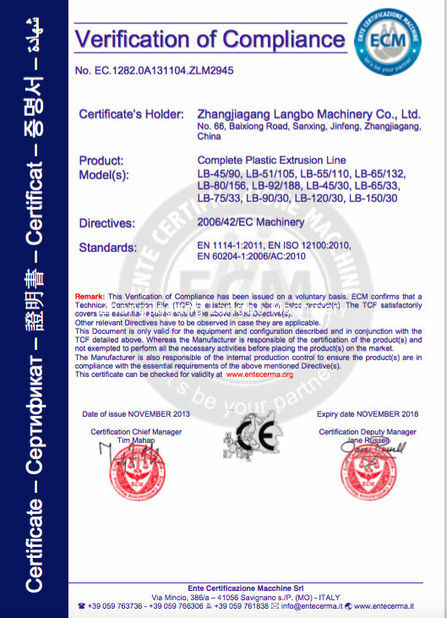 It can process new plastic grnaules and also for used plastic recycling and granulator, like pp pe pet pvc ldpe and etc. The oversea service team helps the installatiopn, technical support and spare parts, which will ensure the continious production and longest lifespan. 1. 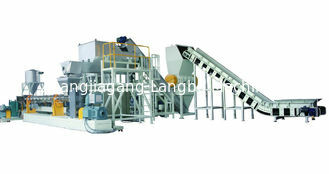 Conveyor:convey PP PE film or flakes into compactor. 2. PE film compactor:crushing and compress film,and feed compressed film into extruder forcedly,to make the production capacity high and stable. 3. Extruding system:plasticizing material and exhausting gas.